In order to make lifesaving liver transplants available throughout central and north Florida, Florida Hospital for Children is partnering with Children’s Hospital of Pittsburgh of UPMC to develop a comprehensive pediatric liver transplant program. This will be the first program of its kind in Orlando, the second in Florida, and is expected to start accepting patients in January. Florida Hospital is one of the largest not-for-profit hospitals in the country. The organization’s range of nationally and internationally recognized services includes transplant, pediatrics, cardiology, and advanced surgical programs. Florida Hospital for Children’s flagship hospital in Orlando is the heart of a children’s network that includes primary care pediatricians, specialty clinics, emergency departments, and Kids Urgent Care. The teams will work in partnership with Florida Hospital’s Transplant Institute, which offers kidney, liver, kidney/pancreas, lung and heart transplants. In order to offer these transplants to families in the Florida area, the hospital will work with the Hillman Center for Pediatric Transplantation at Children’s Hospital of Pittsburgh of UPMC, which has performed more than 1,800 pediatric liver transplants – more than any other center in the United States, according to the United Network for Organ Sharing, with patient survival rates consistently higher than national averages. In 1981, Children’s Hospital of Pittsburgh of UPMC opened the country’s first comprehensive pediatric transplant center under the guidance of transplant pioneer Thomas E. Starzl, MD, PhD. According to the 2017 data released by the Scientific Registry of Transplant Recipients, the pediatric liver transplant program at Children’s ranks number 1 out of 62 pediatric liver transplant centers in the United States for 1-year overall patient and graft survival when comparing hazard ratio estimates. The program remains at the leading edge of expertise, innovation, and patient- and family centered care for transplant patients from all over the world. Members of the transplant team from Children’s Hospital of Pittsburgh of UPMC will participate in the management of patients in Florida. Transplant surgeons, medical specialists, and nurses from Florida and Children’s Hospital of Pittsburgh of UPMC will perform pediatric liver transplant surgeries together at Florida Hospital for Children. 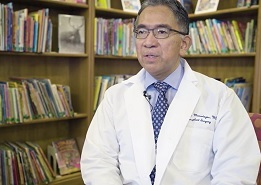 The pediatric liver transplant partnership with Florida Hospital is the second program of its kind for Children’s Hospital of Pittsburgh of UPMC. In 2016, Children’s Hospital became the first and only pediatric liver transplant program to expand the geographic reach of its expertise through a partnership with the University of Virginia Children’s Hospital in Charlottesville. Today, Children’s pediatric liver transplant network extends from Pittsburgh to Virginia, and now Florida.